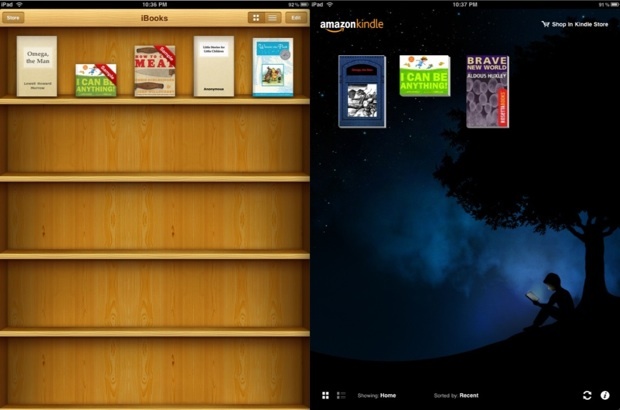 Which reads better on the iPad: Apple’s iBooks app or Amazon’s Kindle app? Giovanni Calabro kicks back with Omega, the Man to find out. Enough time has gone by now to get a sense for what the iPad can handle. I’ve had time to digest its offerings from the higher-resolution screen to the nuances of having a full-screen map to manipulate with my hands. Yet the major difference I wanted to explore right out of the gate are the reader applications. Device comparison and business strategy aside, I’m not seeing enormous difference in the app designs between the Apple-produced iBooks and Amazon’s Kindle app–and that can mean trouble for Apple’s book business. At first glance this has the fanfare of an actress walking the red carpet. From the literal interpretation of a book design, page turn functionality, and library shelf, Apple has elegantly given us a way to experience e-book reading without going over the top with design for the sake of design. I thought I would go nuts for the page turning feature. Not really. Whether it’s a slide, swipe or page flip, you quickly look past the novelty and get to what’s important, the content. 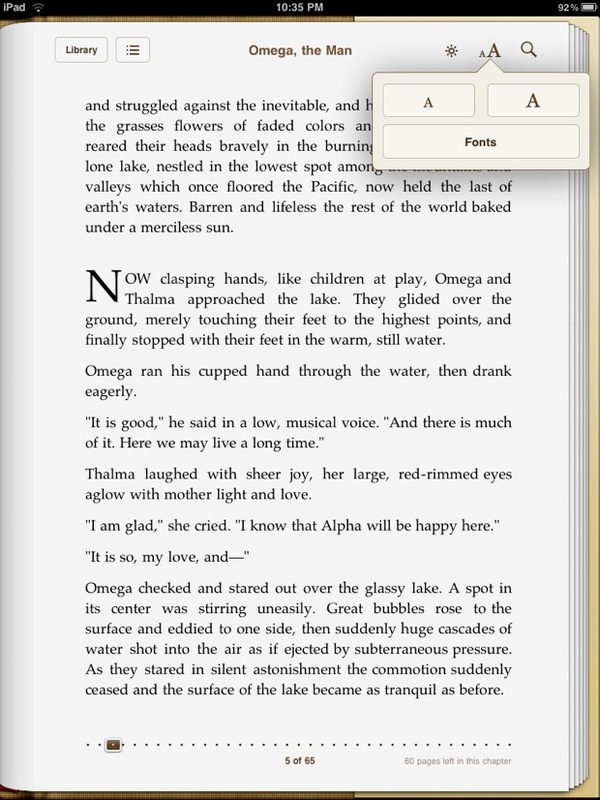 When the iPad is positioned horizontally, books display in two columns for quick digestible reading. Coupled with this is a button to the table of contents and your bookmarks, brightness adjustment, font selection and increase/decrease, and an ability to search within the body of the text. 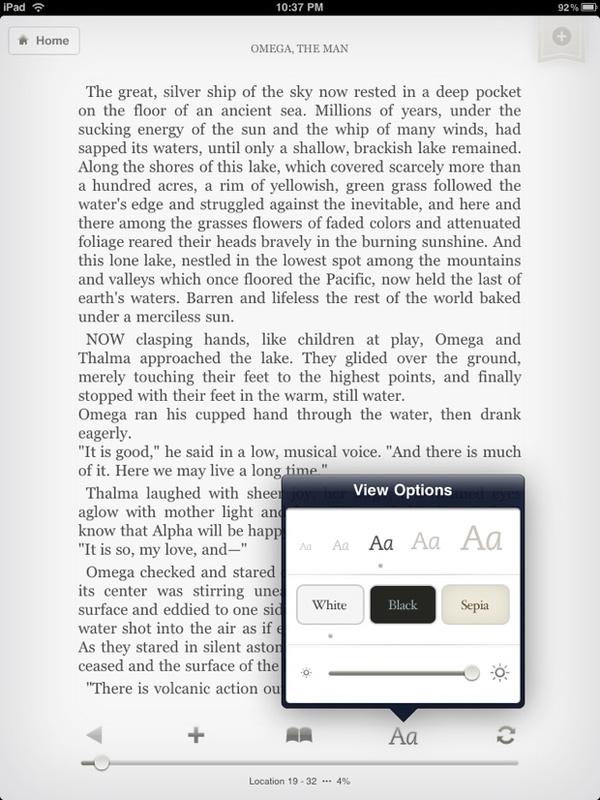 Pressing and holding a word, unveils the ability to open a dictionary, bookmark, or search. By default, iBooks’ display text in Postini and the font color is black. So far, so good. 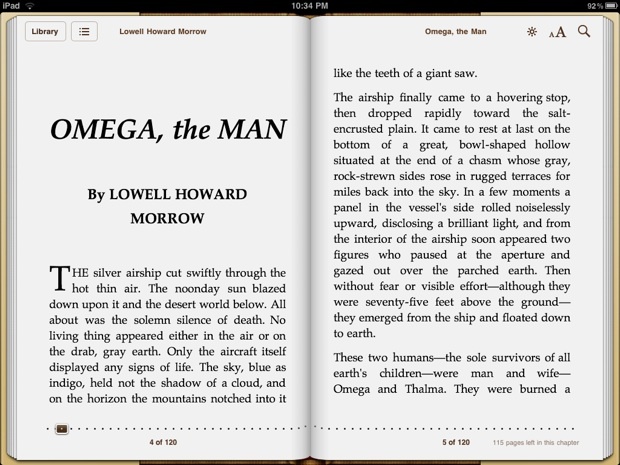 With more of a blunt Spartan design, the Kindle application cuts to the chase and displays content. No page turns, simple table of contents, less design elements…content. Along with the experience, virtually all controls are at the bottom of the Kindle app making interaction a hair easier (I define a hair easier by not having to move my hand 5.5 inches up the iPad to press a button). 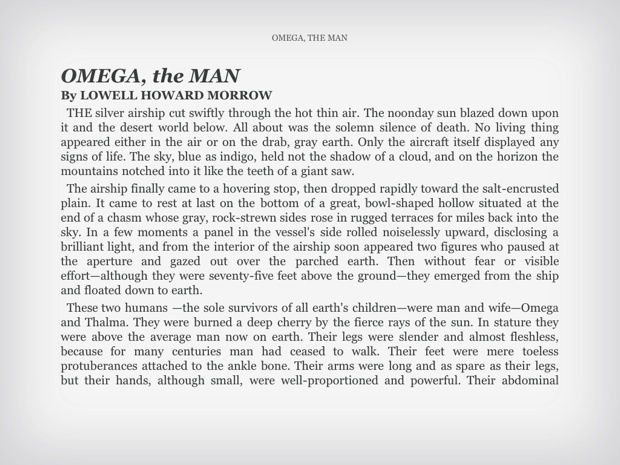 The Kindle app allows for bookmarking, ability to jump to the TOC, and viewing options (to change font size, screen brightness, and three-screen contrast options). Pressing and holding any word unveils options to note or highlight. By default, the letters seem to be a bit grayer than pure black and when horizontal, the Kindle app simply displays the same amount of words as the vertical display, in one wide column. Apple will be in new territory with this application. Their hardware and software design alone can usually drive adoption and change markets on the fly. Yet beyond a two-column display in horizontal positioning and a few bells and whistles, iBooks isn’t really providing any incredible, driving experience that would make me choose this app over the other. And with a limited (yes it’s deep, but still limited) selection, I wouldn’t be opposed to using the Kindle application at all. On the contrary, design won’t drive adoption of an app in this case, book inventory will: Apple 0, Amazon 1.
social media and mobile channels.